We have good news. According to a fact sheet released by the Centers for Medicare & Medicaid Services (CMS), the average premium for Medicare Advantage plans continues to drop and will be lower in 2019 than it was for 2018. This should be welcome news to seniors on a tight budget, who can now contribute less of their income to get the health insurance they need. According to CMS, the average premiums for Medicare Advantage continue to decline from the heights last seen in 2015. The actual average premium is now $28.00 a month for 2018, a decline of $1.81 from the year before. The high in 2015 was $32.91. The declines should be broad based. About 80% of Medicare Advantage enrollees should see no premium increase in 2019 if they keep their same plan. This means they won’t need to change plans to one with a lower premium. In fact, about 46% of enrollees will have a zero premium. Premiums for basic Medicare prescription drug plans should also decline in the new year, by about $1.09 per month, to $32.50. This represents a 3.2% decrease. One reason premiums are declining is that more people are actually purchasing the plans. According to CMS, enrollment will hit an all-time high in 2019, with 22.6 million people enrolled. This is a 2.4 million increase from 2018 (an 11.5% increase). The percentage of people enrolled in Medicare Advantage will also reach 36.7% in 2019. The availability of plans will also continue to remain strong, with about 99% of people having access to one or more health plans in their area. Around the nation, the number of plans will increase to 3,700 in 2019—a significant jump from 2018, when there were 3,100 plans. About 91% of people will have access to at least 10 plans, which is a small increase from 2018 (when 86% of people had access to that many plans). With more choice should come the opportunity for most cost savings. Other enrollees will see access to supplemental dental, hearing, and vision benefits, which should continue to make health care more affordable for our seniors. 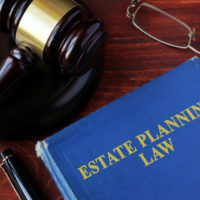 At the Millhorn Elder Law Planning Group in the Villages, we provide a full slate of elder law services to our clients, including Medicaid planning, advance directives, VA Aid & Attendance applications, estate planning, and probate representation. Our clients reach out to us with some of the most complex legal problems any elder law attorney could handle, and we provide the highest level of service to each and every client. If you have a legal question, please do not hesitate to contact us for a free consultation. You can call 800-743-9732 or send an online message.